Check out Tobi's Wrap City Plunging Crop Top A crop top worth dreaming about. 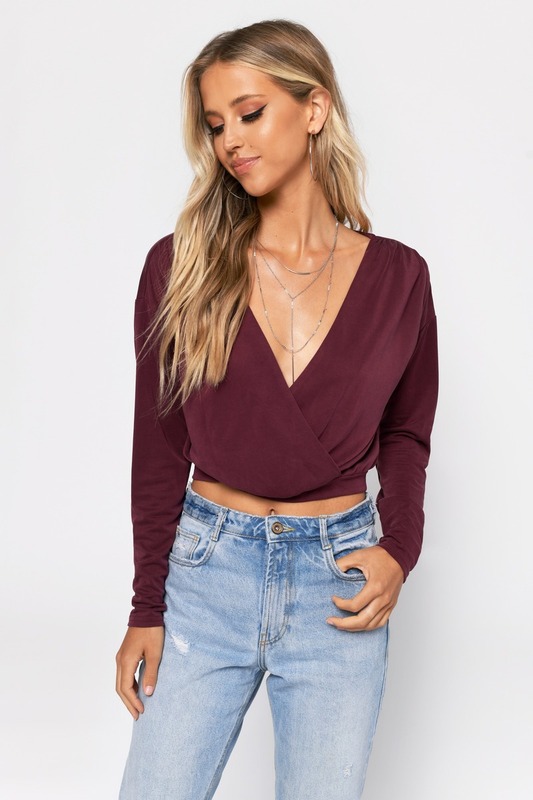 You're going to love the Wrap City Wine Plunging Crop Top! 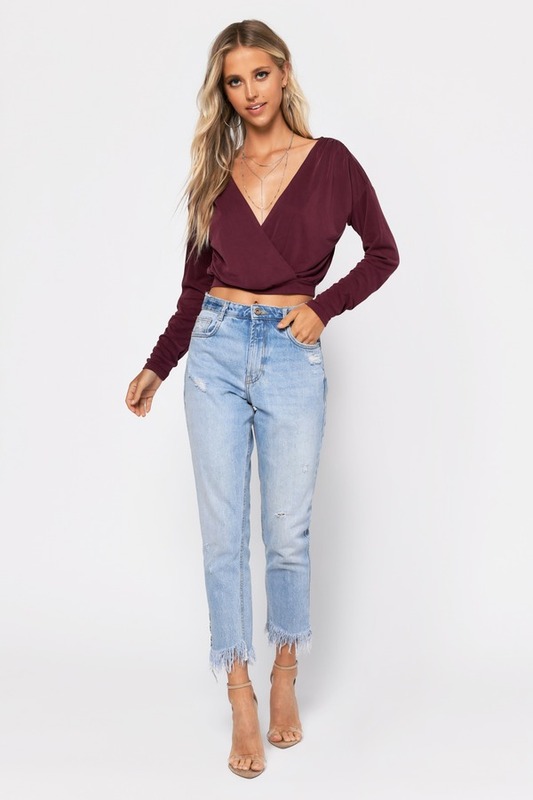 This long sleeve crop top features a deep v-neckline that leads into a surplice bodice and relaxed sleeves for a beautiful silhouette. 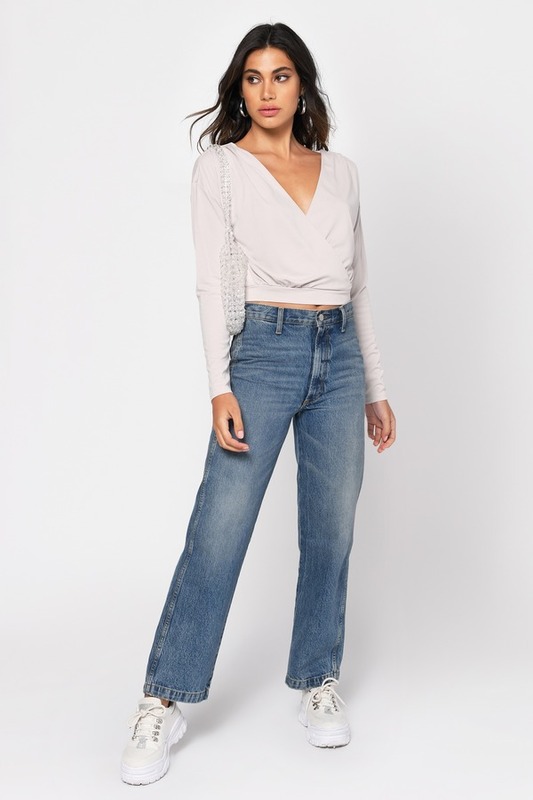 Pair this surplice top with high waisted denim for a seriously dreamy 'fit.